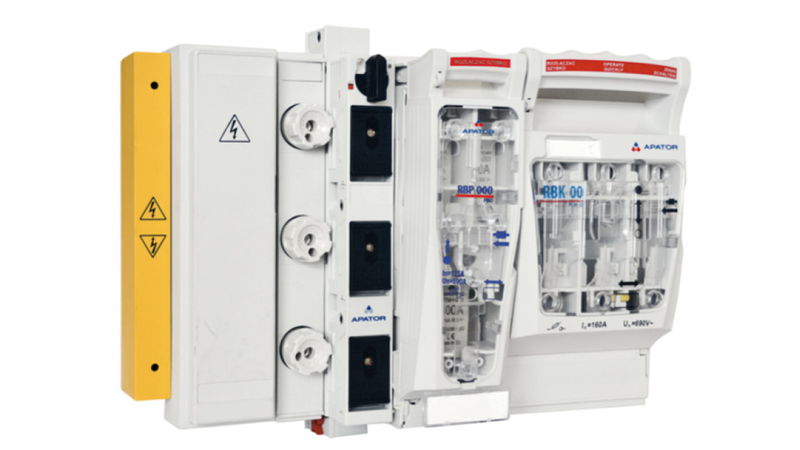 BUSBAR SYSTEM 60 mm is a modular designed current distribution system up to 630 A. Snap on mounting of all components provides extreme flexibility in assembly and add on design. 60 mm System are fuse switch disconnectors designed for NH fuse links: RBP 000-pro-S, RBK 000 pro-S, RBK 00 pro-S, RBK 1 pro-S and RBK 2 pro-S; RBD0/60 - switch-fuse with D02 fuses for installation on busbar system, RBD0/60 - basic protection with fuse state monitoring and temperature monitoring. Other elements of the system are fuse base E18 for D0 fuses, power adapters, brackets for system busbars, adapter for installation of componenets on TH rail, insulating barriers and covers, D0 fuses, snap fit container for D0 fuses spare parts enabling fast replacement and reconnection of the circuit.